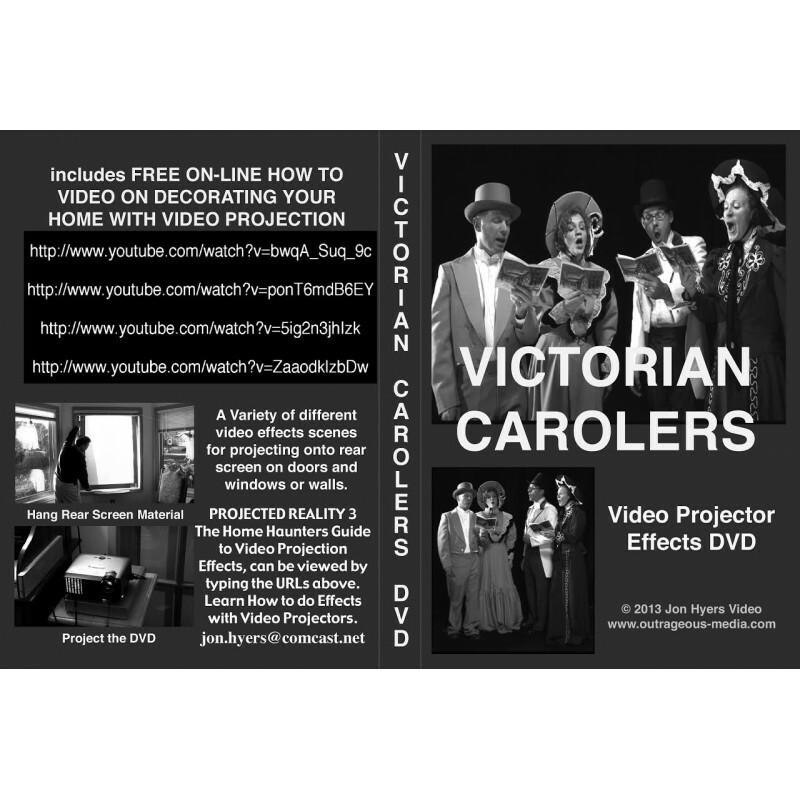 Victorian Carolers since typical Christmas Carols, for in the window scenes for your Holiday Decor. Three different framings and locations. Victorian Carolers since typical Christmas Carols, for in the window scenes for your Holiday Decor. Three different framings and locations. This makes for a Pleasant Seasonal Christian themed decor. As with all our video scenes, it's a color video. However for $ cost reasons, in order to provide Customers with the Most FX Possible, this product is available ONLY in a Black and White printed cover, not a color cover. Be advised of this.